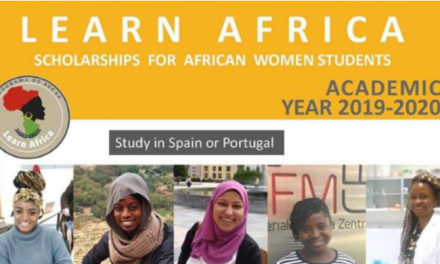 Applications are invited for the Swedish Institute Scholarships for Global Professionals 2019. The successful candidates will be studying master’s degree on a fully funded Swedish Institute Scholarship. The Swedish Scholarships are available for students of more than 30 countries. International Students can apply for both full-time one-year or two-year master’s programmes. The Swedish Institute offering 300 scholarships for full time master’s studies in Sweden. The Swedish Government Scholarship will cover full tuition fees, monthly expenses, travel grant, health insurance. The selected students will become members of the SI Network for Future Global Leaders(NFGL. 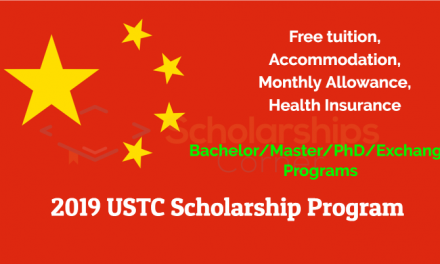 The scholarship is intended for full-time one-year or two-year master’s programmes, and is only awarded for programmes starting in the autumn semester. The scholarship is granted for one academic year (two semesters) at a time. It will be extended for programmes longer than two semesters, provided that the student has passed his/her courses/credits. To be eligible for SISGP, you must have had at least 3,000 hours’ work experience prior to 3 February 2019 from a maximum of three organisations/companies. Valid work experience for SISGP includes both full-time and part-time employment, for instance as employee, employer, and freelancer. You will be required to certify the experience in your application. If you do not already have the required amount of work experience, your application will be disqualified. However, it is not required that you are employed at the time of the application. You must be able to demonstrate your previous leadership experience. The experience may be demonstrated through for instance previous work experience, or involvement in civil society organisations. The leadership experience has no requirement in regards to a minimum number of hours. You must have a citizenship in one of the eligible countries. However, you do not need to reside in the country at the time of the application. Citizens of Albania, Armenia, Azerbaijan, Belarus, Bosnia and Herzegovina, Georgia, Kosovo, Macedonia (FYROM), Moldova, Montenegro, Russia, Serbia, South Africa, Turkey and Ukraine cannot apply to SISGP, but are eligible for other SI scholarship programmes. If you have dual citizenships and both are eligible for SI scholarship programme(s), you should choose only one of the citizenships when applying for SI scholarships. This means that you can only apply to one SI scholarship programme. Applicants who apply to more than one SI scholarship using more than one citizenship, will be disqualified. You should only submit the required documents listed below in your online scholarship application. We will not consider any other documents than the required ones. You must complete your application in English. Use the forms and templates provided below and complete them according to the instructions, or else your applications will be disqualified. A motivation letter: you must use the SISGP form for motivation letter 2019/2020. The form will be available here in January 2019. A Curriculum Vitae (CV): you must use the SISGP template for CV and the CV should not exceed the number of pages indicated in the template. Additional pages will not be considered. The template will be available here in January 2019. Two different letters of reference: you must use the SISGP form for letter of reference. At least one letter of reference must be based on your work experience. It will be a merit if the second letter of reference is based on your involvement in networks or civil society organisations outside of your regular work. The letters should be signed by the referee and stamped with an official stamp of the referred organisation or a notary office. The form(s) should be typed, then printed, signed and stamped; and then be uploaded as one PDF-file. You can find more information in the instruction in the form and in our FAQ. The form will be available here by the end of December 2018. Proof of work and leadership experience: you must use the SISGP form for proof of work and leadership experience. The work and leadership form should be signed by the referee and stamped with an official stamp of the referred organisation or a notary office. The form(s) should be typed, then printed, signed and stamped; and then be uploaded as one PDF-file. You can find more information in the instruction in the form. The form will be available here by the end of December 2018. A copy of your passport: your personal data including name, citizenship and photograph must be shown clearly. Copy of passport should be included together with the CV as a last page. It is your responsibility to ensure that you have a copy of your valid passport to include. 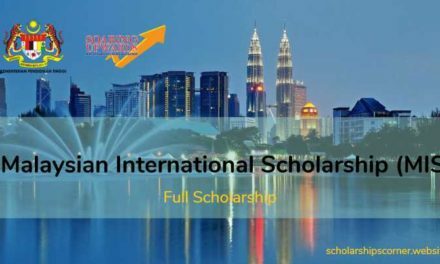 How to Apply for Swedish Institute Scholarships 2019? Only master’s programmes that are on the list of master’s programmes are eligible for SISGP. To begin with, apply for up to four eligible master’s programmes at universityadmissions.se by 15 January 2019. University Admissions is the national online application service which handles admissions to universities in Sweden. It is an independent agency not related to the Swedish Institute (SI). 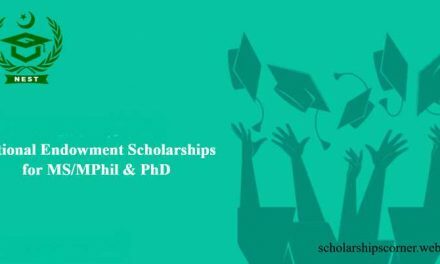 The eligibility and application procedure for SI scholarships and for university admissions are different. Once you have submitted your application to the master’s programme(s) at universityadmissions.se, you will get a personal application number consisting of eight digits. Save the number as you will need it when applying to SISGP. 1 February 2019 is deadline for receipt of application fee and supporting documents that are required by University Admissions. The application fee is non-refundable. If you missed the deadlines or failed to follow the application procedure at University Admissions, you will not be eligible for an SI scholarship. After you have completed your application to a master’s programme you can apply for an SI scholarship. See more information about required documents and forms/templates above. During the application period 4-14 February 2019, submit the required documents digitally through our online application portal. The online application portal is open from 00:00 CET 4 February 2019 to 23:59 CET 14 February 2019. Access to the online application portal will be available on this page below during the application period. Due to the high volume of applications, the online application portal may be under heavy pressure at the end of the application period. We strongly urge all applicants not to wait until the last days to apply. By 4 April 2019, you will receive your notification of selection results from University Admissions. SI will receive the admission results including your personal information directly from University Admissions. Only applicants who are admitted, including conditionally admitted, to one of the eligible master’s programmes by 4 April 2019, will be considered for an SI scholarship. If you are only listed as a reserve/placed on waiting list and are not admitted to any of the eligible master’s programmes by 4 April 2019, you will not be considered for an SI scholarship. There are no scholarships available for late admissions. You can only be awarded a scholarship for the master’s programme you are admitted to by 4 April. Master’s programme to which you are listed as reserve, will not be considered. If you are admitted to an eligible programme by 4 April, and meanwhile are put on a waiting list for a programme you ranked higher, only the programme you got admitted to by 4 April will be considered by the scholarship selection committee. Therefore it is important that you make sure to decline reserve places in time so that your admission will not be deleted. Please check the instructions on how to reply to University Admissions. Contact University Admissions directly if you have any questions. About 300 successful SI scholarship recipients of SISGP 2019/2020 are announced at si.se on 26 April 2019. Each successful scholarship recipient receives an official scholarship offer by email during 29 April – 3 May 2019. If you receive a scholarship offer, you are required to accept or decline this offer by the deadline indicated in the offer. It is your responsibility to make sure that the email address you filled in your application is correct so that you can be notified about the offer. Due to the large number of applicants, only those who are offered a scholarship will be notified. A number of applicants can be placed on a waiting list for a reserve place. Scholarship offers which are declined by successful candidates may then be offered to applicants on the waiting list. Kindly note that being placed on the waiting list does not guarantee that you will be offered a scholarship. SI will publish the waiting list when announcing the successful scholarship recipients. If your name is not on the list you have not been offered a reserve place. An estimated 300 scholarships will be available for full-time master’s studies in Sweden starting in the autumn semester 2019. Usually 1-2 % of the applicants are awarded a SISGP scholarship.